Roes contains our complete catalog of products and services and is geared toward the professional photographer. It is a Java based application and requires internet access to download the software and upload orders. However, once it is installed on your computer, it gives you the ability to prepare orders while offline, and then transmit the order once you reconnect to the internet. Roes uses a unique and encrypted ftp protocol which safely delivers your files to our server at the end of each order, rather than having to upload images before you start an order. It is the industry standard uploader for professional labs throughout the country. Our web based uploader is provided through Photofinale. Since this method is web based, there is no need to download or install any software onto your computer. Once you set up a free account, you can upload and store images, share images, or place orders from multiple computers since your images are stored remotely in the cloud. This method also gives the options to print directly from your Facebook images. 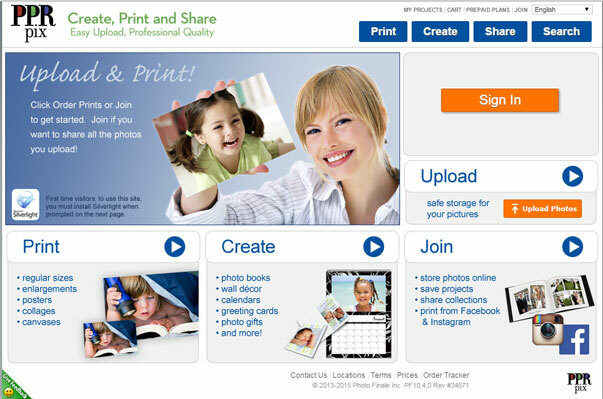 PPRpix web contains fewer products than our ROES uploader, but offers more predesigned templates for cards and books. Products uploaded via this method have a slightly higher cost than our ROES uploader. Great option for the photographer on the go! Our mobile app is available in the App Store and delivers professional products ordered directly from your iPhone or iPad. You are able to print images taken with your mobile device, stored in your Instagram, Photo Stream, or from Facebook without having to download them to your computer. 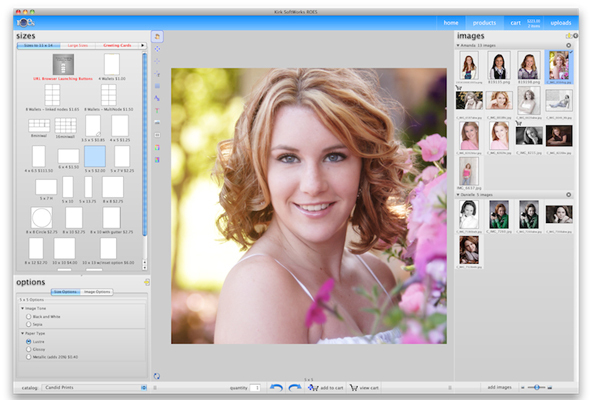 There are fewer sizes available to choose from as this method optimized for images taken with a phone. Prices are slightly higher than with the ROES uploader. Epson Fine Art prints to 60"x96"